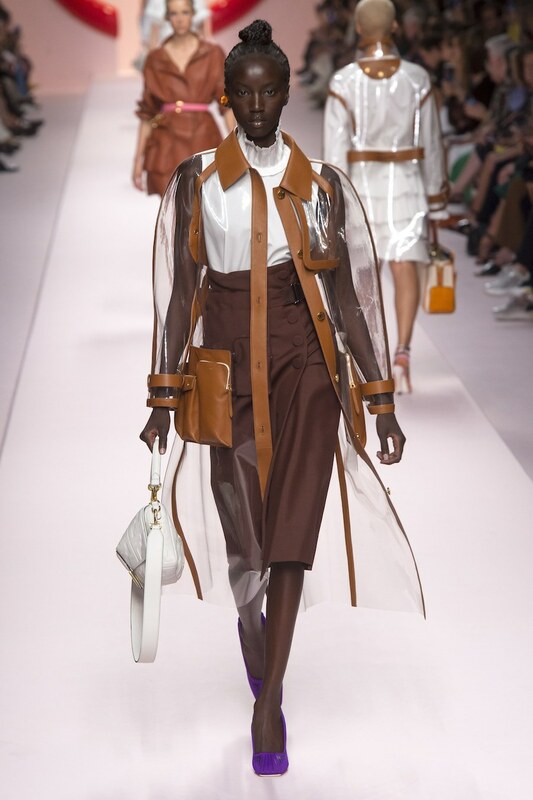 City culture meets urban jungle for the latest Fendi SS19 collection that showed at Milan Fashion Week. 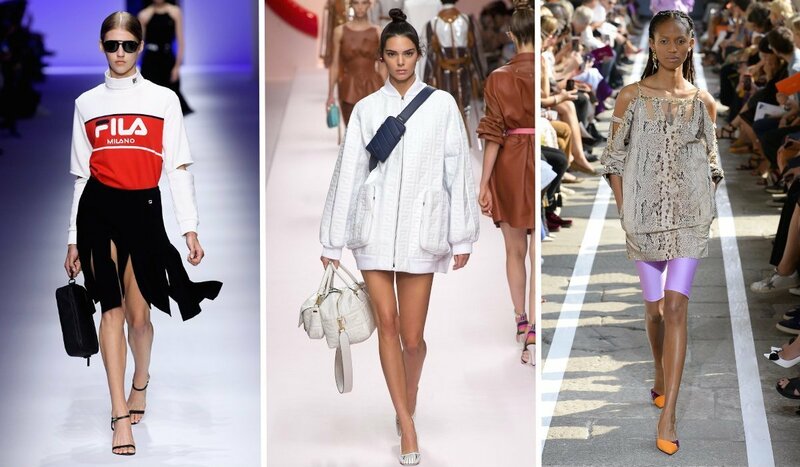 The brilliance of Karl Lagerfeld and Mrs Fendi is an indisputable fact with the collection that features our favourite trends in an effortless and innovative way. 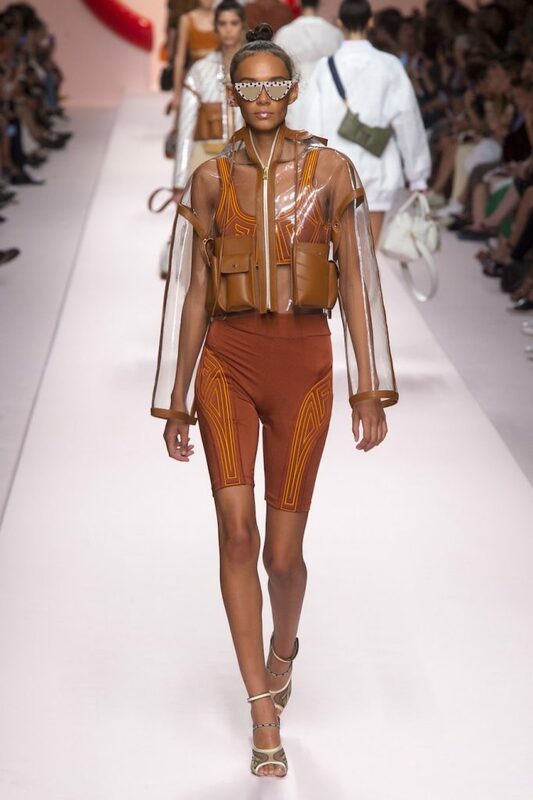 Favourite it-girl Adwoa Aboah opened the show wearing a transparent PVC raincoat with brown leather detailing, followed up by the Hadid sisters, Kendall Jenner and Kaia Gerber in monochromatic styles, utility belts, cycle shorts, cargo pants, tanned leather coats, flowy midi skirts and oval shaped sunglasses. Incorporated with a feminine and sophisticated touch, Fendi confirms that the futuristic trend is here to stay. 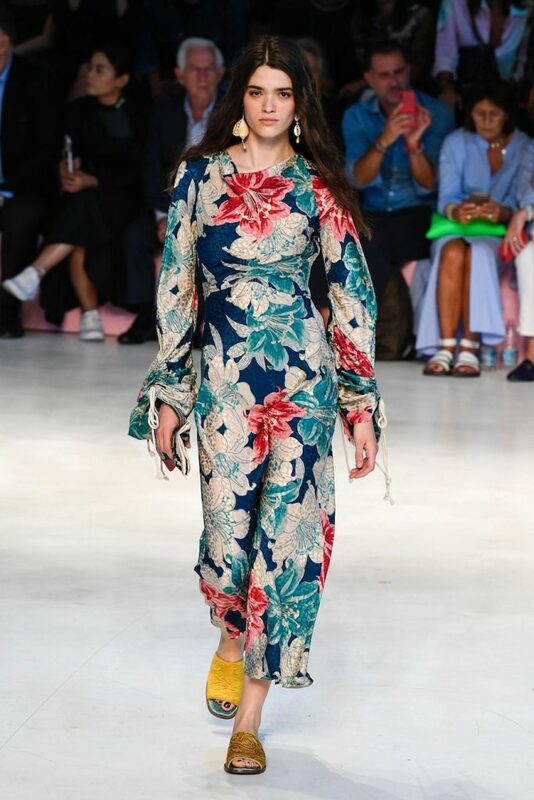 It is said that opposites attract, and that certainly applies to the Blumarine ready-to-wear SS19 collection. 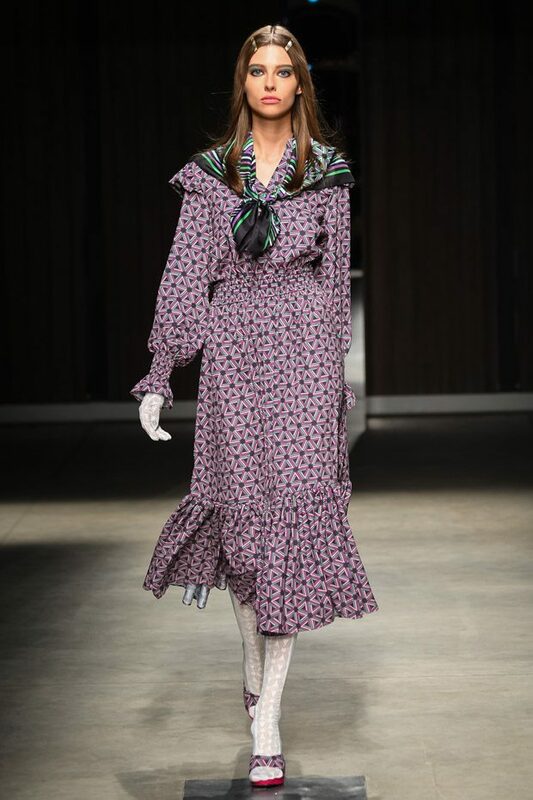 Anna Molinari, the creative director of Blumarine, brought the two contrasting worlds of romance and sportswear together which made for a girly look with cool, boyish flair. 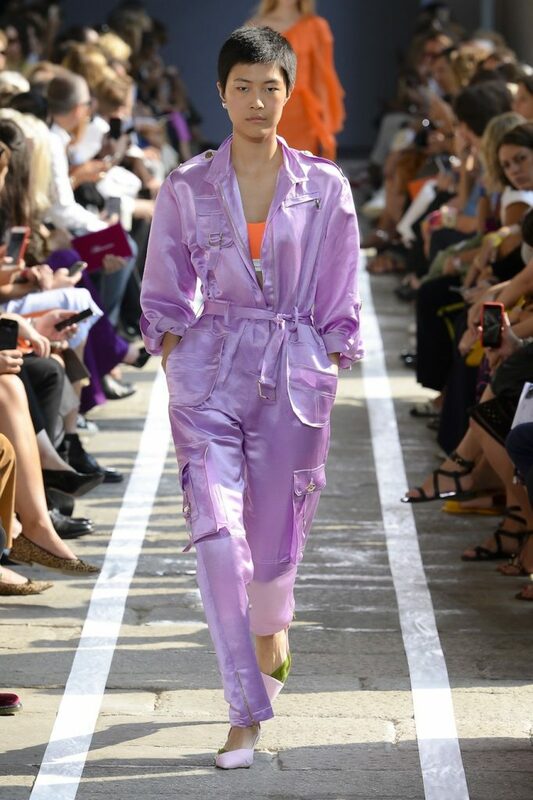 Dreamy silk and crochet dresses were layered over athleisure wear in bright orange, fuchsia and neon colours. 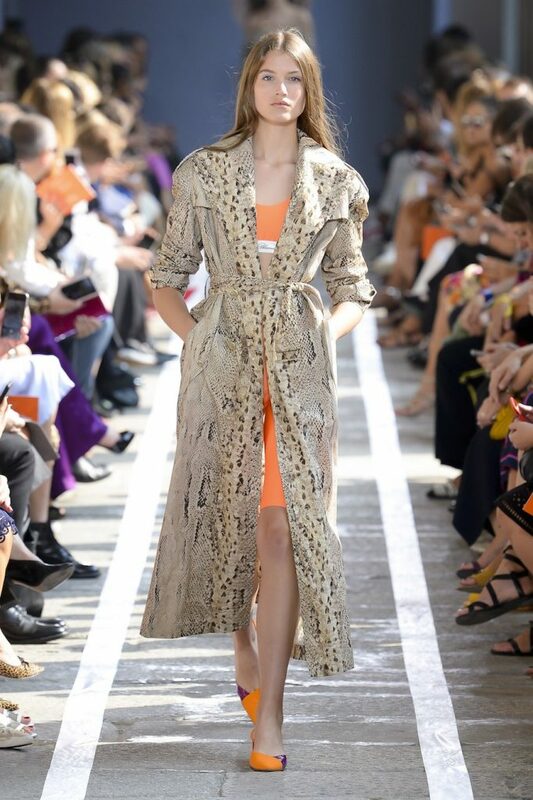 The infamous snakeskin pattern was also heavily represented in contrast with colourful floral pieces, adding an interesting edge to the brand’s collection. Italian brand FILA makes its fashion week debut with its first solo collection ever at Milan Fashion Week. 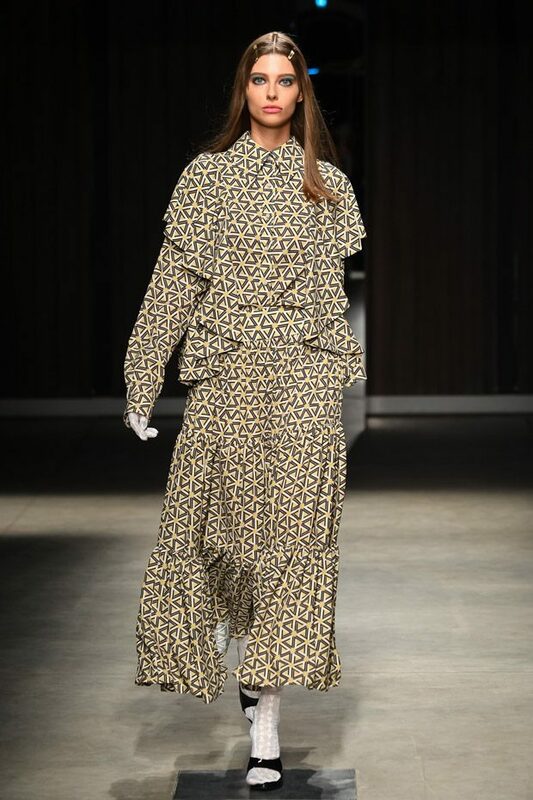 While staying true to its sportswear aesthetic, the creative directors Antonino Ingrasciotta and Joseph Graesel injected some fashion week glam into the collection with glittery sequins and sophisticated silhouettes. 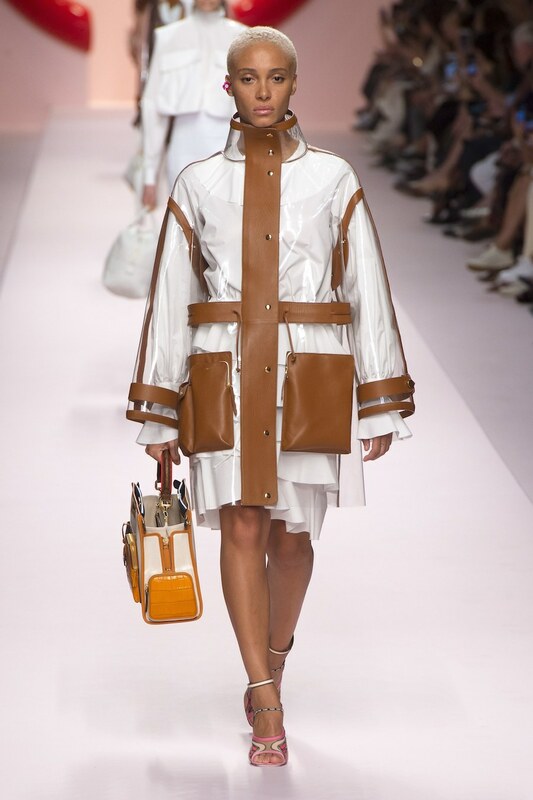 The collection was primarily dominated by outerwear pieces, which involved everything from elegant blazers and trenchcoats to more functional PVC raincoats, track jackets and windbreakers. 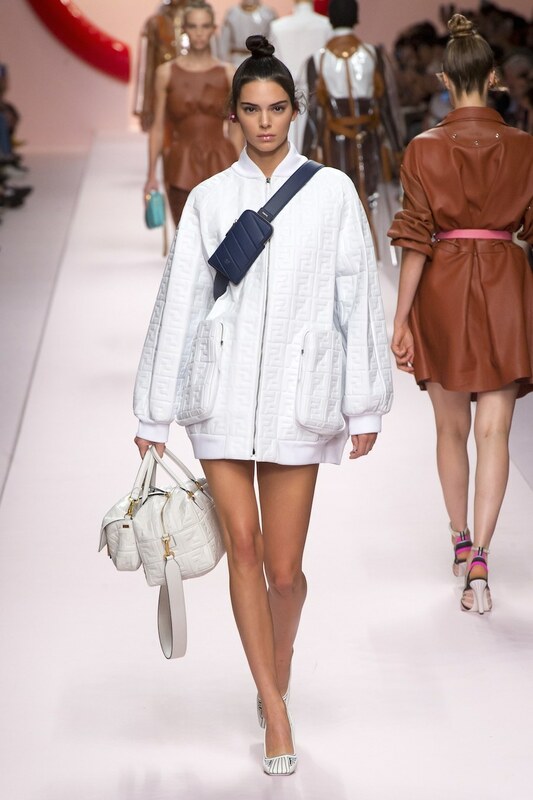 Even though FILA impressed by showing some unexpected chic design; what really caught our eye was the characteristic archive-inspired pieces. 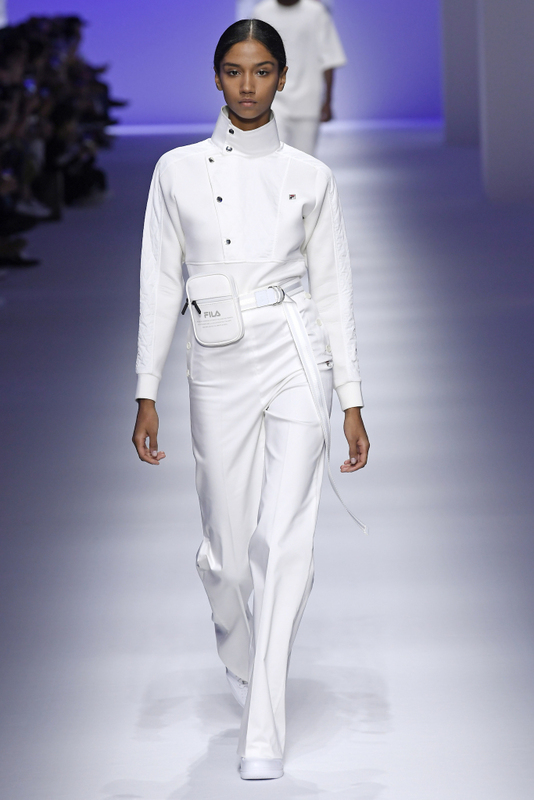 Tennis outfits in a navy, red and beige colour scheme, accompanied by 90’s inspired bucket-hats and headbands made a strong presence at the runway. 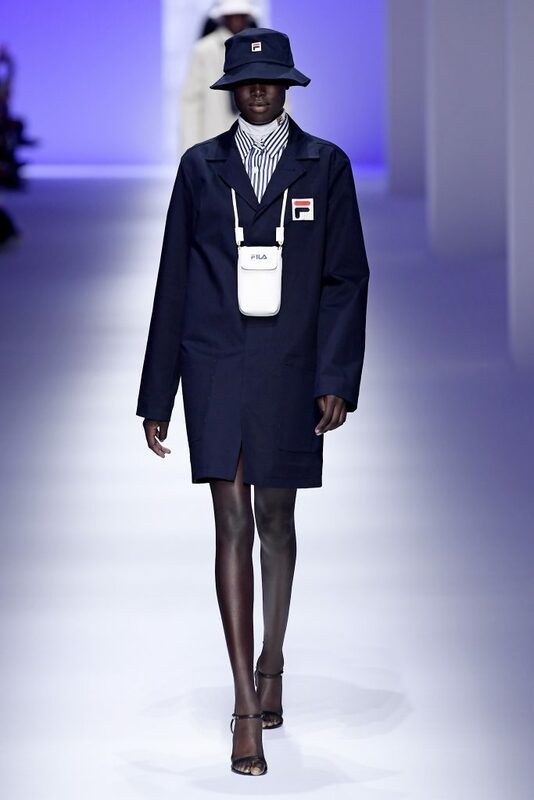 With its SS19 collection, FILA proved their forward-thinking minds while staying true to their core. Seeing Etro’s SS19 collection at Milan Fashion Week instantly gave us the holiday feels. With the title of the collection being “Endless Summer,” Veronica Etro certainly succeeds at making us long for warmer days. The design was heavily influenced by a bohemian aesthetic with patchwork, embroidery and crochet in oriental, colourful patterns. Kimonos, two-piece pajama suits, sunhats and shell-jewelry were all the heat on the runway, taking us back to California’s skate and surfing scene. The looks were topped off by beachy hair, natural makeup and the occasional surfboard under the models’ arms. “It’s really about being free, joyous,” Etro states. Fashion week is not only a platform for the bigger names to showcase their designs, but can also be a space for up-and-coming designers to introduce their art to the rest of the world. 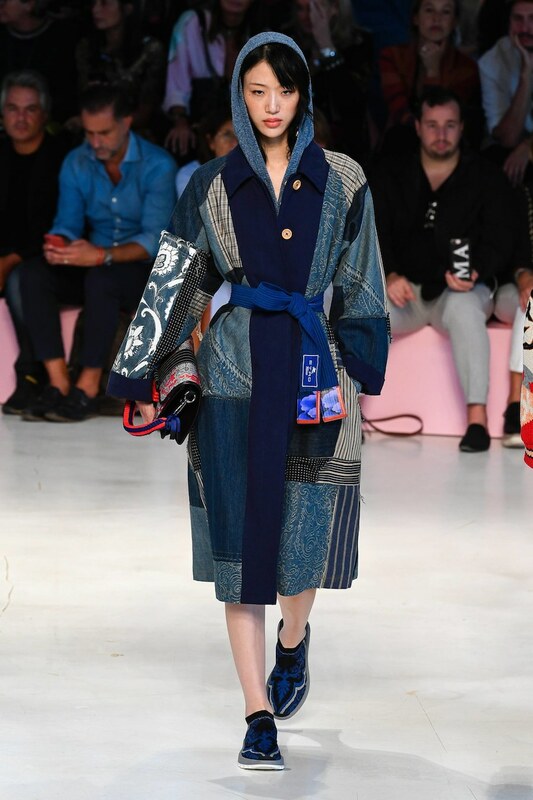 One of these is the Japanese designer Atsushi Nakashima, who showed an impressive collection at Milan Fashion Week. 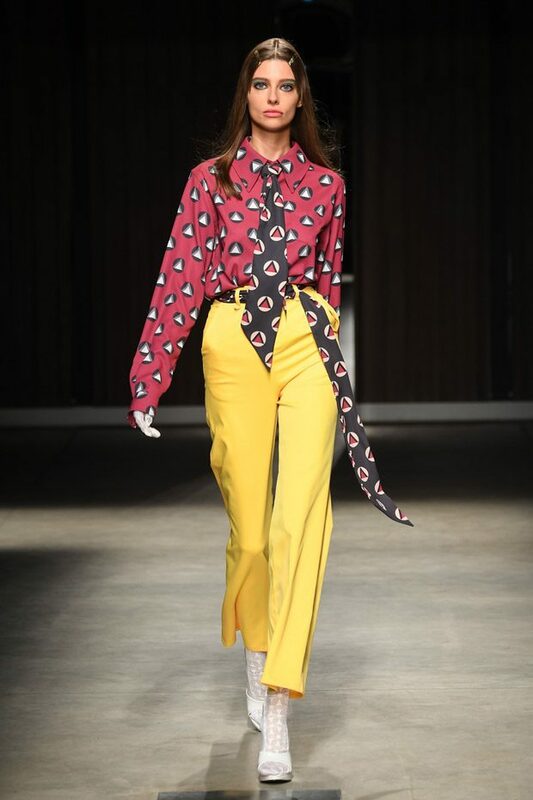 For the Spring Summer 2019 collection, Nakashima went back to the 60s era for inspiration. 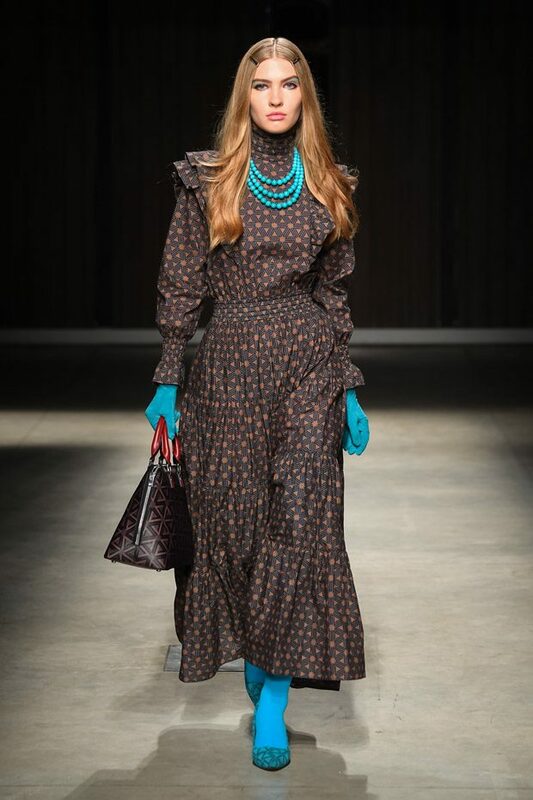 Influences from funk, disco, soul and R&B all set its mark on the collection through bright colours, retro print and details like ruffles, silk scarves, chic gloves and stockings.